Stock #165453 Hard top! Full enclosure, Like new with screen enclosure, dual spot lights, wash down system, onboard charger, AM/FM stereo, depth finder & MORE!! 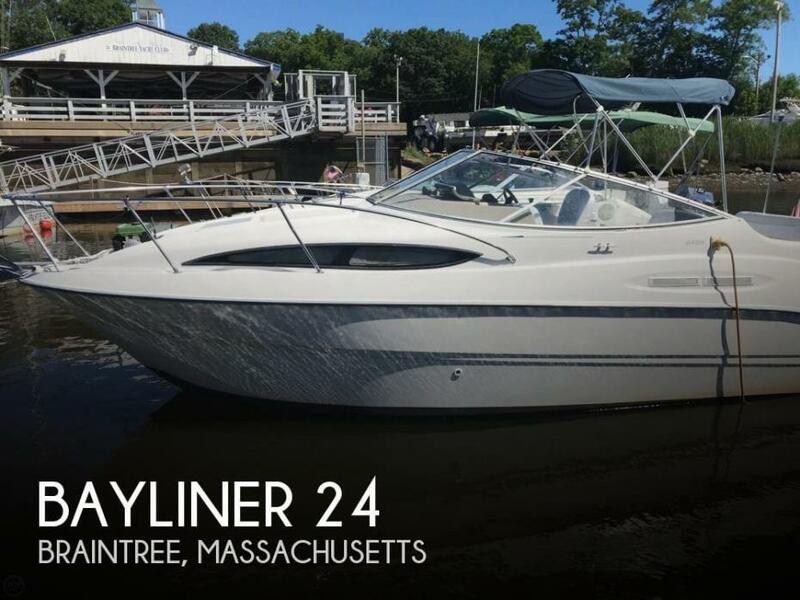 If you are in the market for an express cruiser, look no further than this 1998 Bayliner 24, priced right at $15,495 (offers encouraged). This boat is located in Green Cove Springs, Florida. She is also equipped with a Mercruiser engine. 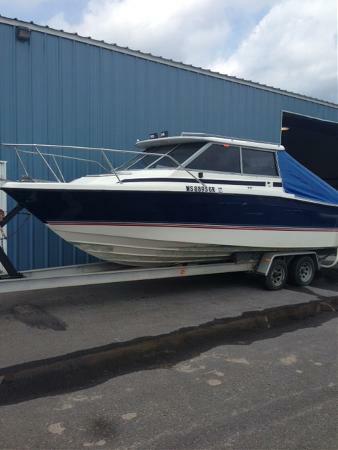 Stock #160917 Nice Bayliner powered with a Mercruiser 350 engine ready to go! Reason for selling is not using..
Stock #165343 Good condition, liveaboard, great cruising boat and has been well maintained! 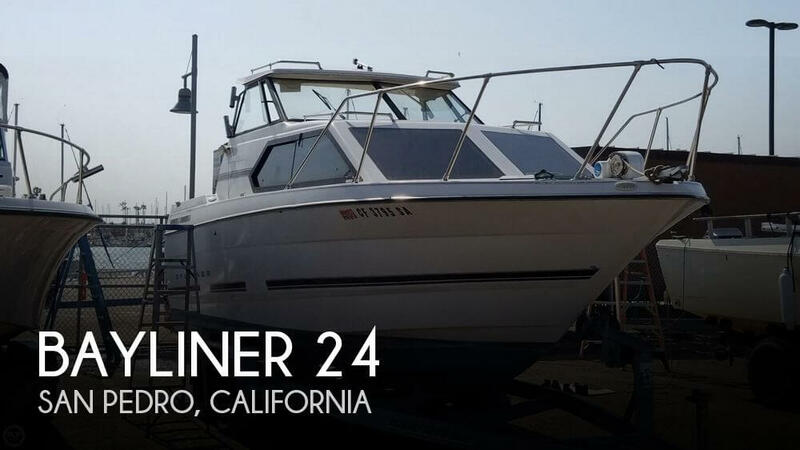 If you are in the market for an express cruiser, look no further than this 1997 Bayliner 24, priced right at $15,000 (offers encouraged). This boat is located in San Pedro, California. She is also equipped with a Mercruiser engine. 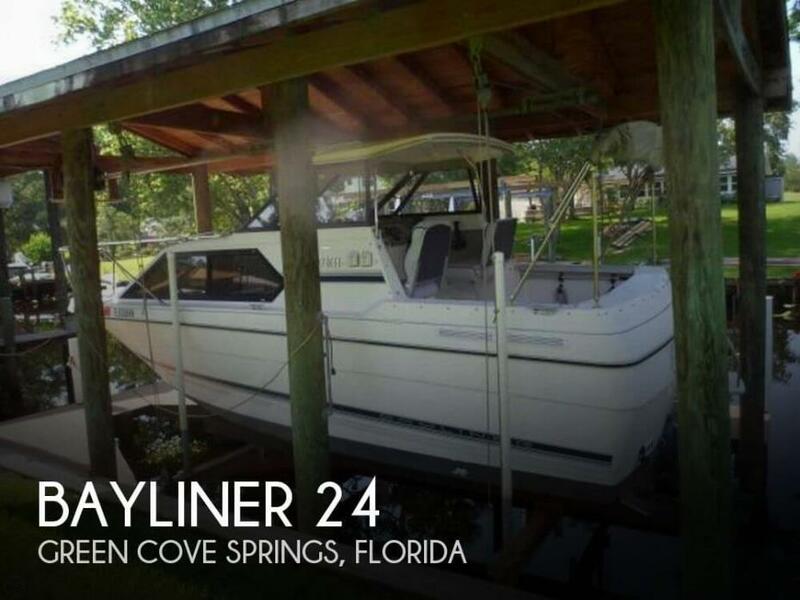 24 FOOT BAYLINER HULL GREAT SHAPE, CUSHIONS TAKEN OUT OF INTERIOR ENGINE COMPLETELY REBUILT OUTDRIVE COMPLETELY REBUILT TRAILER INCLUDED RUNS EXCELLENT, RECENTLY PUT MORE INTO THEN ASKING, NEED THE $. 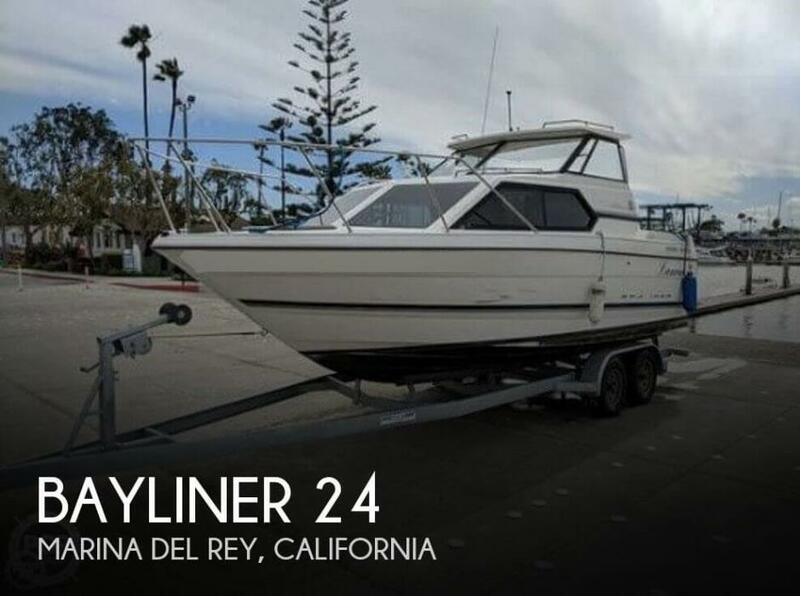 2001 Bayliner Classic Hard Top ALL THE BELLS AND WHISTLES I truly don’t know where to start, my father after 14 years of owning this boat is medically unable to continue having a waterfront condo! 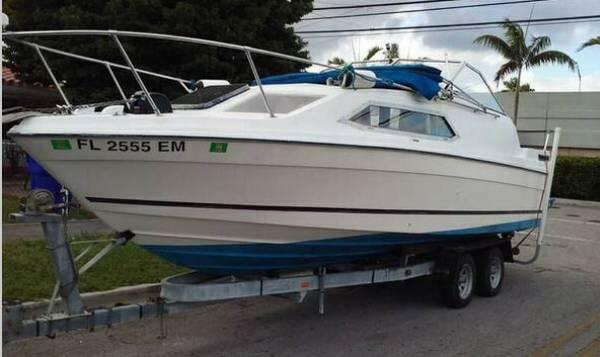 He ordered this boat from the factory brand new for $25,000 and then spent an additional near $50,000 in electronics and fully custom additions. 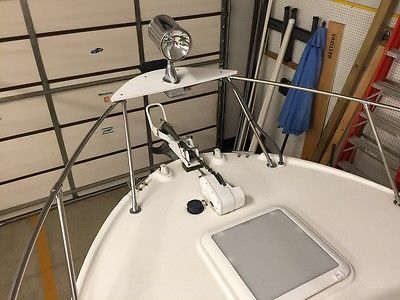 From lights on a circuit breaker for every inch of the boat to the Westerbeke generator and air conditioning and heater custom installed by the manufacturer of each of these items. Right down to the garbage disposal it has all the bells and whistles and more. The pictures are in full HD so you can zoom way in on them to see things. If it is available this boat has it. Yes it has Forward Looking Infra-Red on it (FLIR) even. All electrical work was done by a retired Nuclear Submarine installer so as you see in the pictures everything was built custom for the wiring and all additions were done to NMEA standards and beyond. Huge spot light with remote control and windlass anchor of course with remote also. 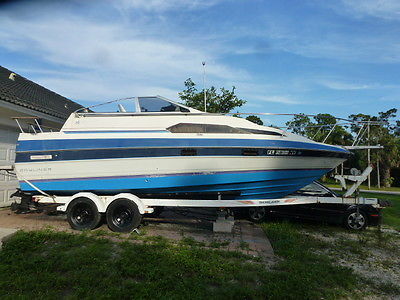 This boat has a vast amount of storage also, too much almost when it is time to clean at the end of the season. The last 2 years as my father’s health has deteriorated so I was towing and launching it for him in the beginning of the season and at the end of it. The water line in the pictures will easily come off with sno-bowl toilet bowl cleaner or a hull wash professionally as it has every year since new. I haven’t the time to do it as he handed me the keys and said find a new owner that can get use out of her. Graduate school is my number one priority and he does not want to look at it any longer than absolutely necessary in the climate controlled pole barn she has been kept in all her life so I am selling as is and not spending a few hundred to shine her up. I am not saying this boat is flawless cosmetically but it only has one scratch above the starboard trailer fender from rubbing a ladder briefly this season(someone from the yacht club was paid to install a new ladder at the dock, not well done but it is life sometimes) and some spots here and there that will come out with cleaner and a rag. If you paid a professional service to detail this boat top to bottom you would have a beautiful boat with just one scratch over the fender of the trailer I mentioned previously. I have included a current picture for NADA price guide listing the options that I could remember and I know there are some forgotten but that's the biggest stuff. This was hardly used and has just 256 ACTUAL hours on the engine. 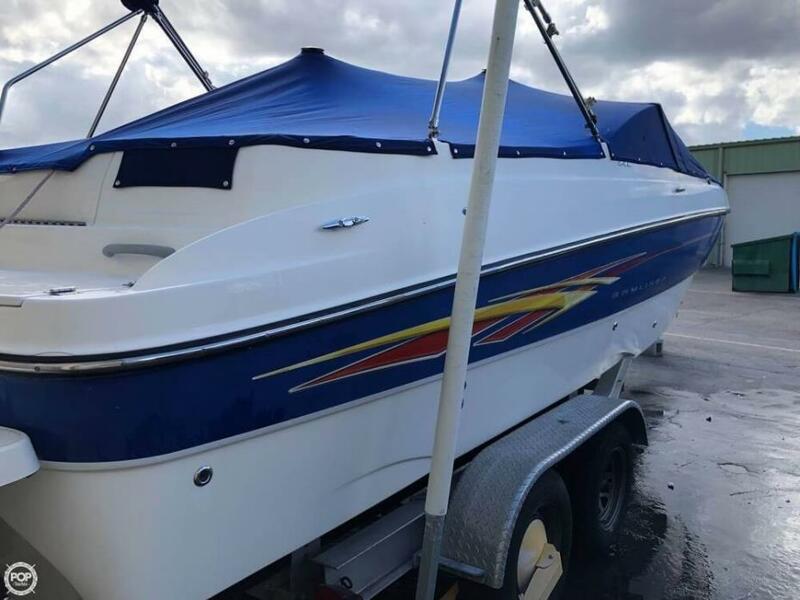 This spring Wilson Marine was paid to rebuild the carbeurator and flush the gas tank as well as do a complete tune up of the Mercruiser 350 power plant. The engine is coupled to a Bravo 2 outdrive and the drive oil and engine oil were changed at the end of every season to make sure water was not intruding into anything. Has a porta potty with pump out deck fitting. The trailer is a newer model I think around 2005. The NADA list is from $25,460 to $29,015 and that is for the stuff I remembered so I think a fair price for a great deal would be $20,000 and that will also include a huge 3 ring binder with A-Z tabs and all equipment listed in it with owners manuals. Also the refrigerator was removed and is now housing a complete custom storage bin made from aluminum and made so it can handle the rigors of boating. My dad always just brought a Yeti very large cooler and set in in the cockpit for food and beverages. He may even be willing to part with it, not sure. Feel free to ask any questions or if you live near the 48843 area code in Howell, Michigan you can stop by and look at it. I have 65 pictures I took today 7/29/2015 so if you give me your email I will forward them to you as well. THIS IS A PICK UP ONLY AND CASH UPON PICK UP, No paypal etc.... I reserve the right to end the auction without reason since the boat is also for sale locally.